What: Public statements concerning state Representative Roy Schmidt’s political party switch. Who: Schmidt (a Grand Rapids Republican) and House Speaker Jase Bolger, R-Marshall. Truth Squad Call: Flagrant foul against Schmidt; foul against Bolger. In May, at the filing deadline for this year’s state House of Representatives elections, Schmidt switched parties, from Democrat to Republican. Schmidt also worked to hamstring Democratic Party efforts to put forward a credible challenger to him this fall. Schmidt consulted with Bolger in developing and executing the plan. A Bolger staffer filed re-election and party-switching papers for Schmidt 10 minutes before the May 15 deadline. This was minutes after the same Bolger staffer submitted papers for 22-year-old mall worker and part-time student Matt Mojzak to run as a Democrat. Mozjak was offered money to run. That offer came in a text message to Mojzak from Schmidt's son, Ryan: "Do you want to make some money?" Mojzak later withdrew as questions grew about the propriety of his candidacy. 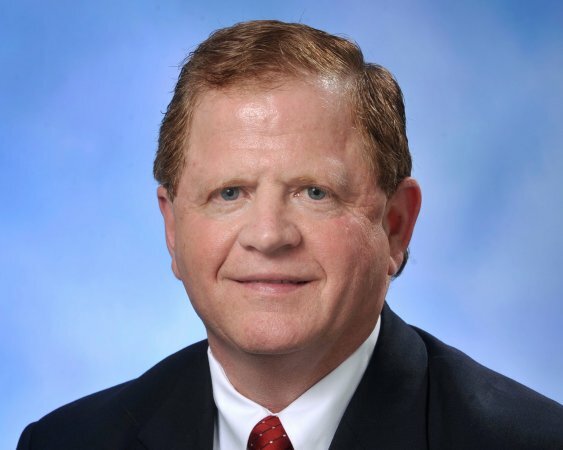 Kent County Prosecutor Bill Forsyth investigated the matter, concluded Schmidt and Bolger did not violate state election law, and referred the incident on to the Michigan Secretary of State’s Office for continued investigation of whether the Michigan Campaign Finance Act was violated. Veteran political observers in Lansing can point to many past tales of attempted election manipulation by candidates and parties of all stripes. Efforts to use the ballot to get a leg up in campaign season have ranged from last-minute party switching to crowding primaries with numerous candidates, to trying to induce mistaken identity in the ballot box by running inexperienced or even uninterested candidates with popular last names against more experienced candidates. Rarely, though, has such ballot mischief been so thoroughly documented for all to see so clearly. This Truth Squad analysis examines the political statements made by Schmidt and Bolger as the controversy unfolded. “I never met Matt Mojzak. Don’t know who he is” -- Roy Schmidt in an on-camera television news interview during the daytime hours of Wednesday, May 16. Sunday, May 13, Schmidt’s son contacted Mojzak and asked “do you want to make some money?” Schmidt’s son did so after Schmidt told him that finding an opponent would help him get re-elected. On Tuesday, May 15, Rep. Schmidt personally met with Mojzak at the Centrepointe Mall in Grand Rapids to work on candidate filings and change of address forms to be turned in that day. "Not at all." -- Schmidt in an interview with WOOD-TVpublished May 17 when asked if his party switch and Mojzak's May 15 filing were coordinated. The Forsyth concluded just the opposite. Forsyth details extensive text messaging between Schmidt and Bolger and others to coordinate the party switch and Mojak candidate filing. Forsyth went so far as to say, "Incredibly, while it would be illegal to pay a boxer to take a 'dive' or a basketball player to 'point-shave', it is not currently a crime in Michigan to recruit someone to run for public office, place them on the ballot at the 'eleventh hour' and essentially pay them to make no effort to win." "I don't know much about (Mojzak) except what I'm reading. My conversations have been focused on Roy Schmidt and the people of Grand Rapids" -- Bolger to reporters the day after Schmidt's party switch. Flagrant foul on Schmidt for falsely claiming in media interviews in May that he’d never met Mojzak. Those misrepresentations vastly understated Schmidt’s role as a leader of the party-switching/fake Democrat filing scheme. Foul on Speaker Bolger for what he now acknowledges were his own “evasive” answers in May that understated his role in conferring with Schmidt on the party-switching/fake Democrat filing scheme. This is one of the strongest reasons we need strict term limits. Career politicians, those who jump from city councils to state house to state senate to other government positions are no good for society. A person should be limited to 6 years max in any elected position. When you look at the good that comes from having people with no prior government experience in leadership positions, and compare that to the do nothingness that comes from career politicians, it just screams for strict term limits. This has nothing to do with term limits, Rich. We have them; this happened anyway. What this has to do with is the increasing drive for power for power's sake, not working for the good of all the people (which can best be determined by outcome driven metrics, like per capita income, poverty rates, length of lifespan, etc. ), and the astounding lack of ethics, transparency and truthfulness among our political leadership today. The lying bums should be booted out of office ASAP for violating their office. They neither protected nor defended the Constitutions of the United States nor Michigan. The fact that neither Schmidt nor Bolger was punished for this – and that Bolger escaped any consequences whatsoever, even keeping his position in the corrupt state GOP – is shocking. Both men should have spent time in prison for this.